Making a House a Home: Homemade Butterfingers???? Oh y'all!! I am on Pinterest (who isn't, right?) and recently found a recipe for homemade Butterfingers! And the secret is..... are you ready??...... CANDY CORN!!! 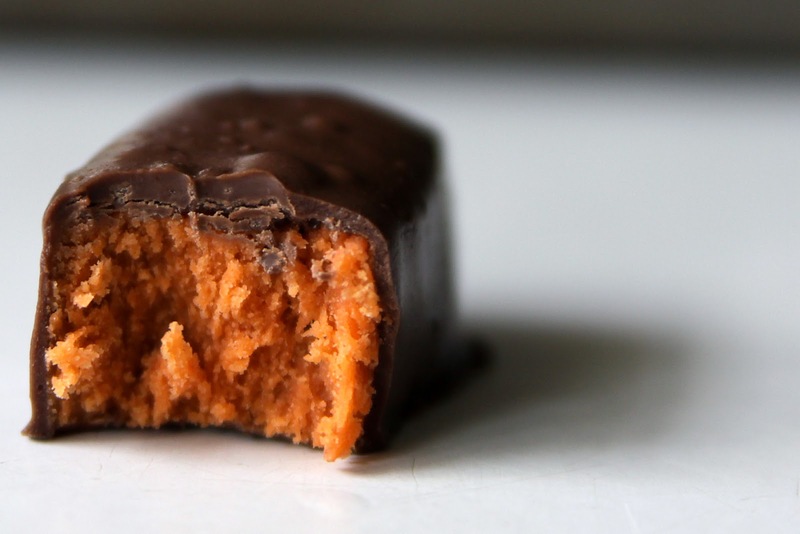 The texture is not exactly like the store bought Butterfingers, but the taste is very, very close to it. Mr. U is a major Butterfinger fan and REALLY likes these. 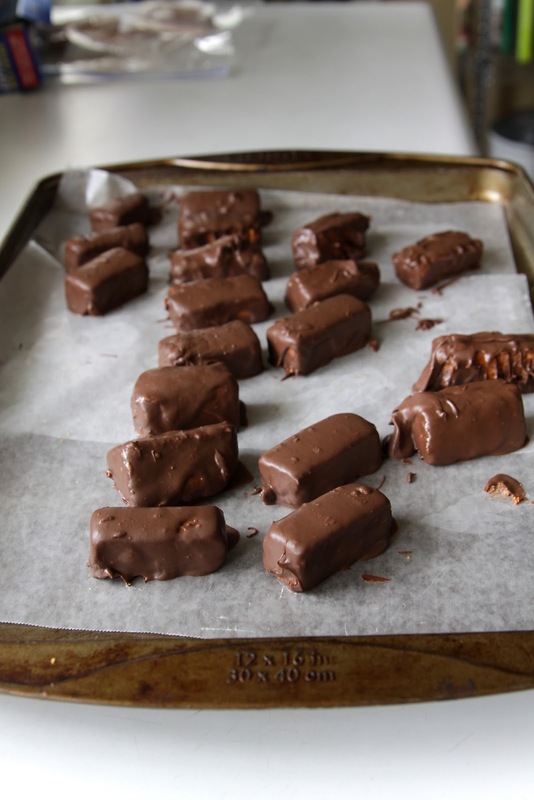 So since they are sooo easy, why don't you give Homemade Butterfingers a shot? They are DELICIOUS, for sure!! Oh my...this could be a VERY dangerous recipe for me to have in my repertoire. These look so delicious! 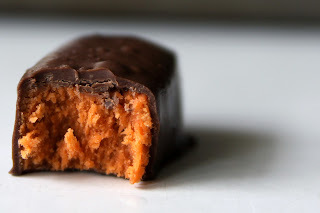 My DH loves Butterfingers so I can't wait to try this recipe for him. Thank you, Mrs. U! This recipe could be very evil. LOL, Cyndi!! Yep, TOTALLY agree with you!!! They are GOOD!!!!! !